Dr Garg from Virginia Heart joins us in the study fresh from giving some of our EMS professionals a lecture of care of the STEMI patient. We caught him before he went back to his patients to talk a little about key aspect of STEMI care. We all know the basics, but this is a great chance to get a better understanding of the key principles of emergent care of a patient with a STEMI. 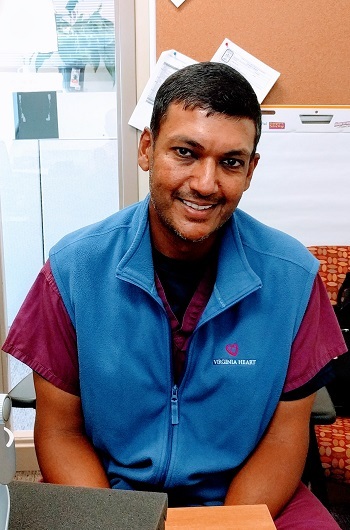 Dr. Garg earned his medical degree from the Medical College of Virginia at Virginia Commonwealth University, where he also completed his residency and fellowships in cardiovascular disease and interventional cardiology. In his free time, Dr. Garg is an avid D.C. sports fan and enjoys playing golf, tennis and basketball. He also coaches his sons in youth basketball and little league baseball.